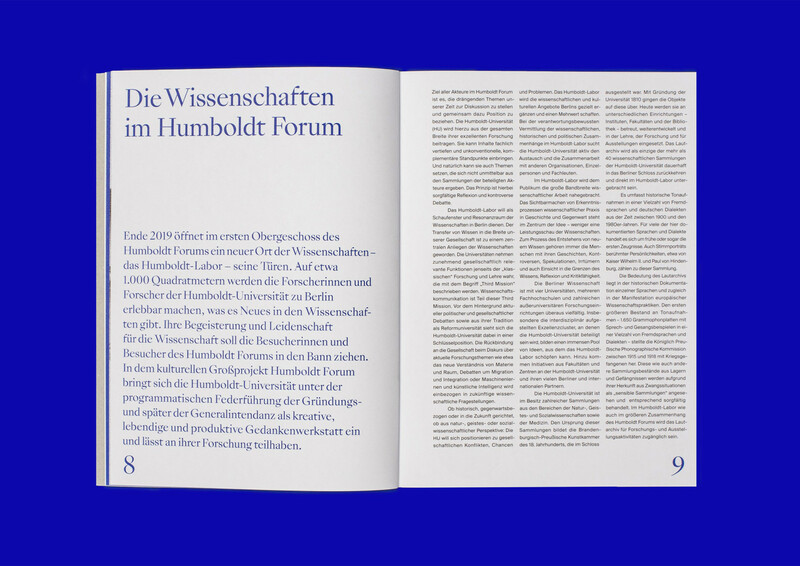 At the end of 2019, the Humboldt Forum will be opened at the Berlin Palace, together with an exhibition space of the Humboldt University – the Humboldt-Labor. 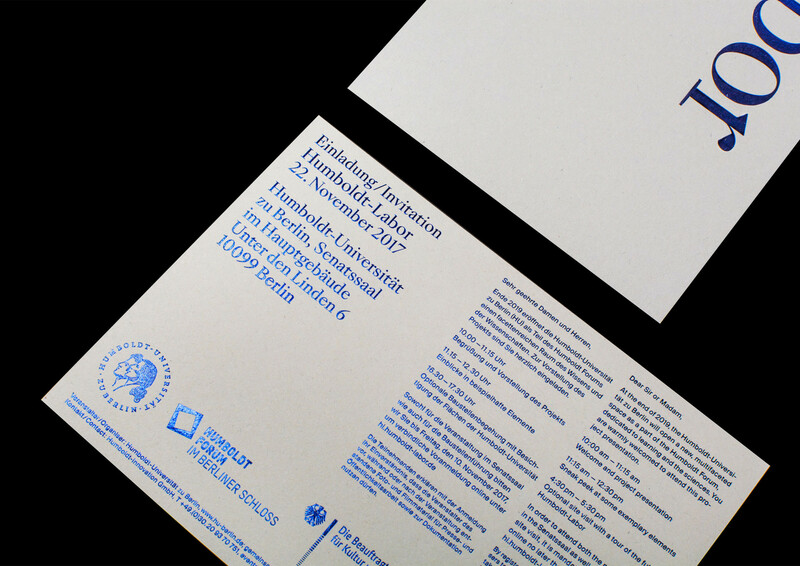 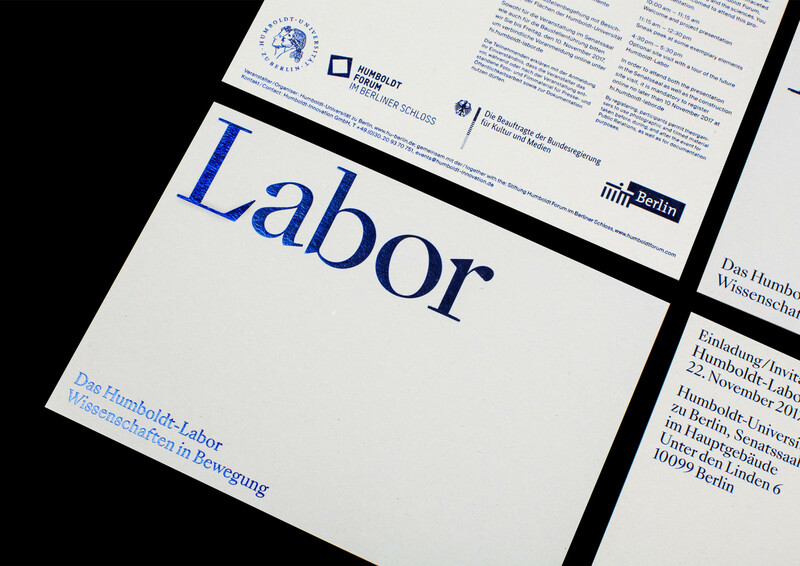 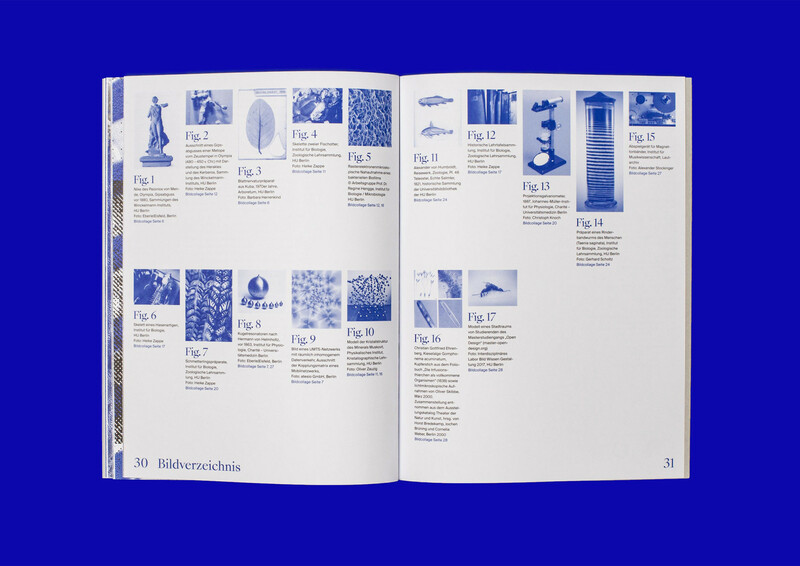 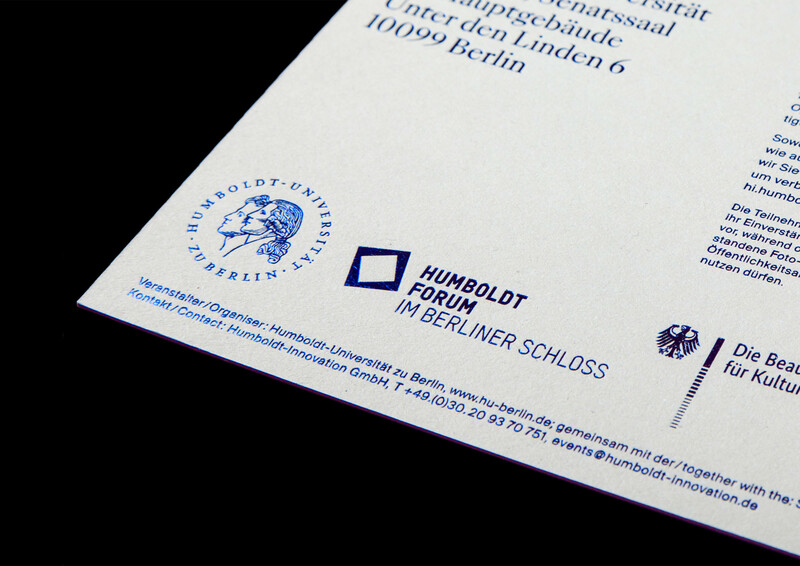 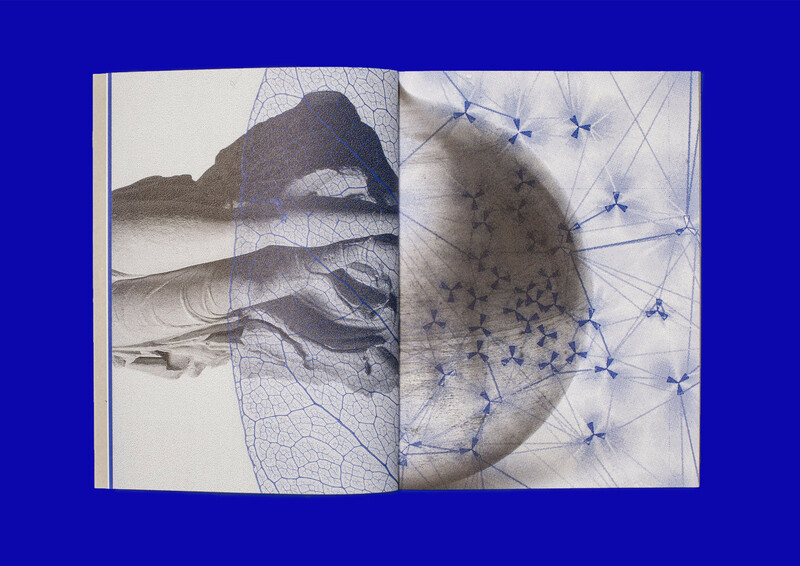 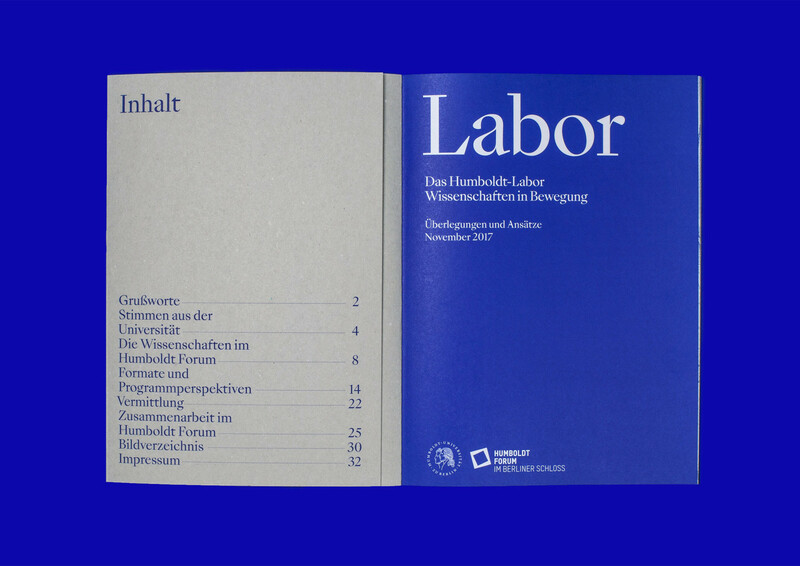 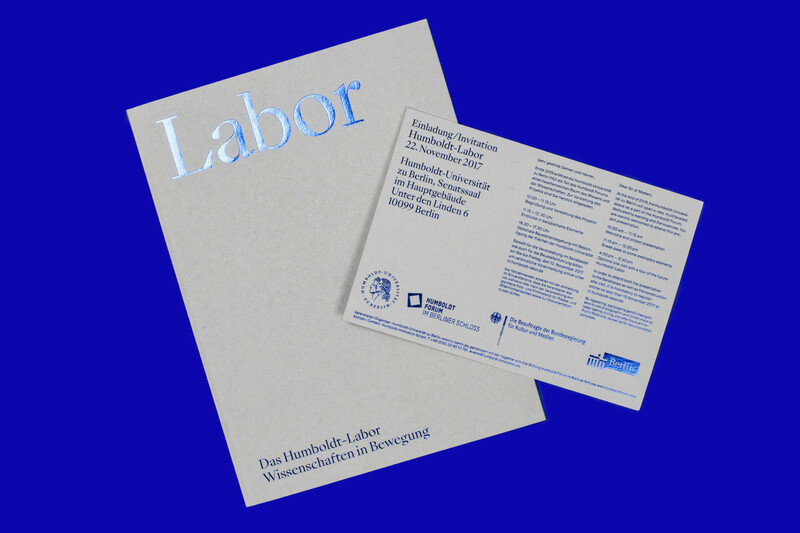 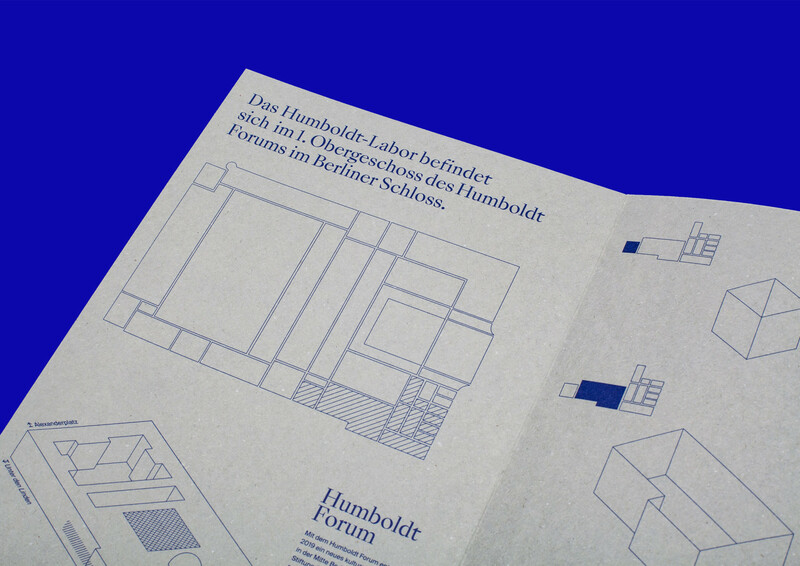 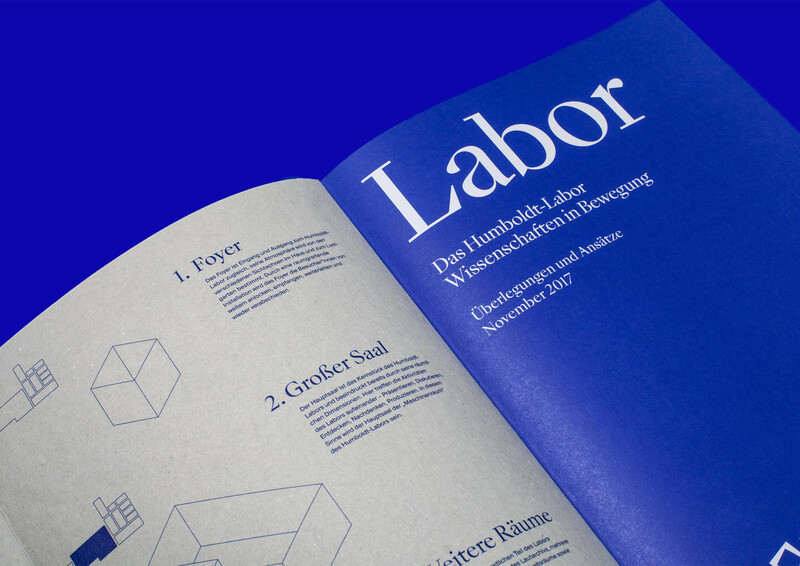 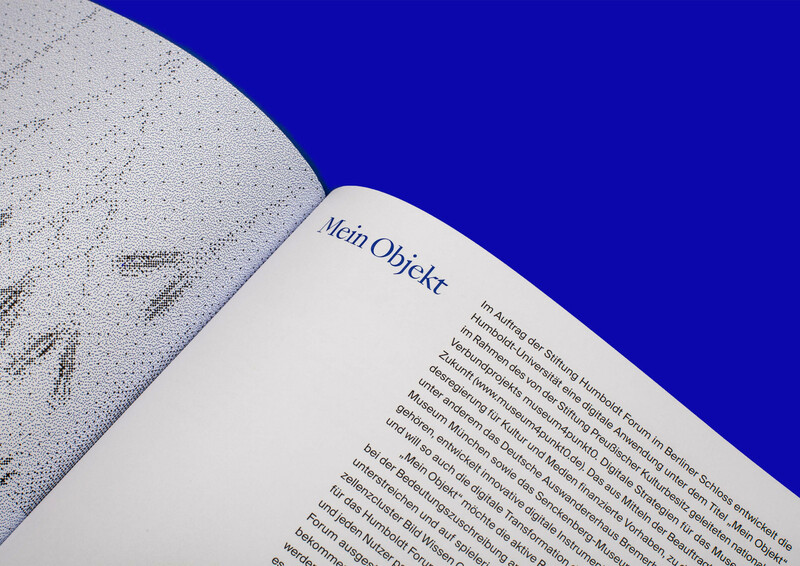 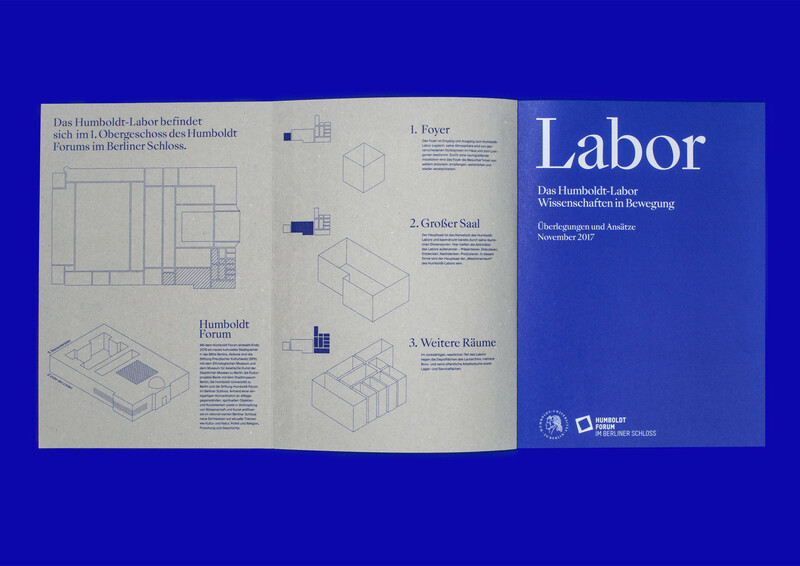 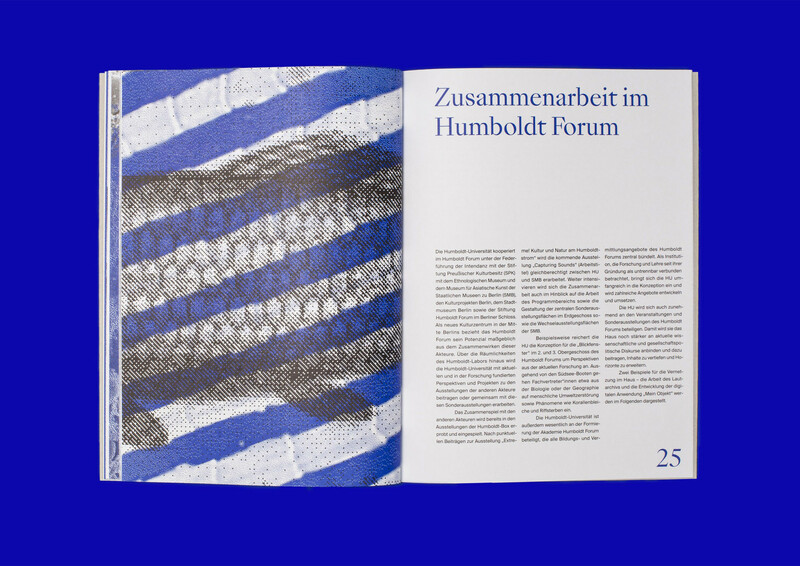 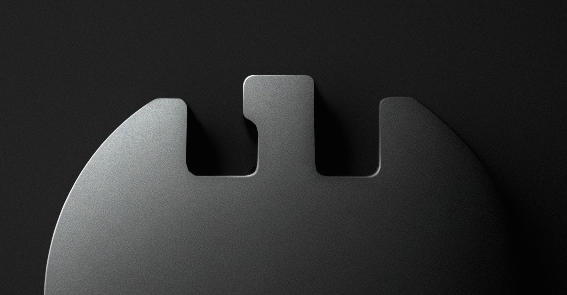 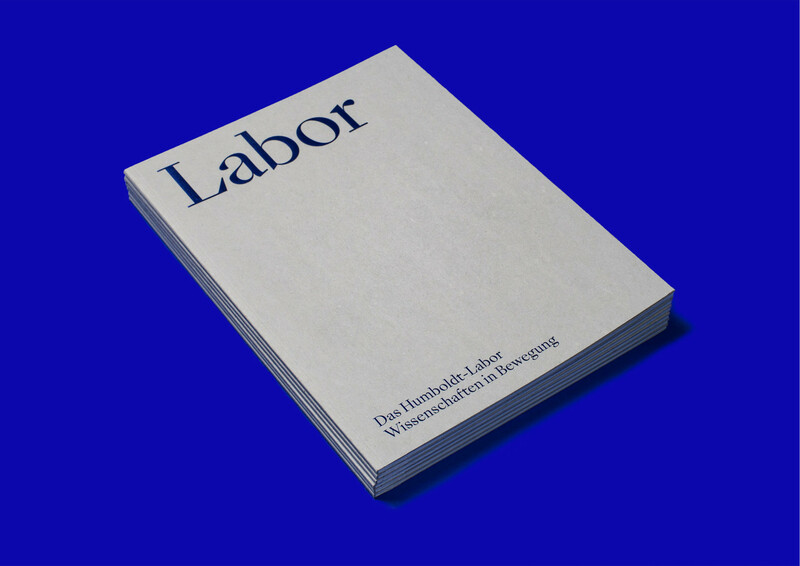 For the first public presentation of the Humboldt-Labor, we designed a brochure and an invitation. 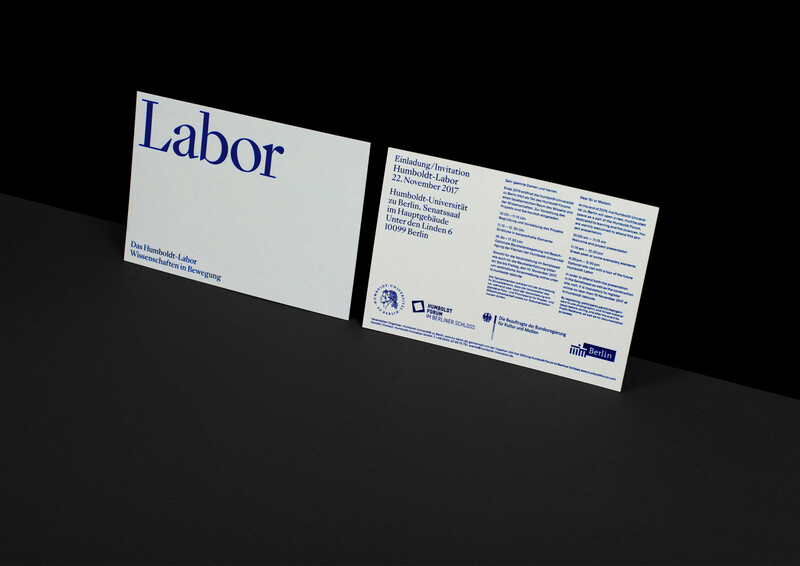 We selected contrasting materials, combining electric blue hot foil stamping with gray cardboard, as a nod to the half-finished state of the building.